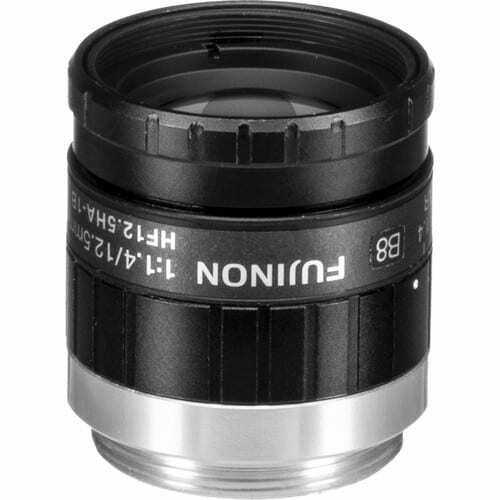 The Fujinon HF12.5HA-1B is a very high quality C-mount lens designed for industrial applications like robotics and machine vision. It is intended to deliver quality images when mounted on cameras with as much as 1.5 megapixel resolution. Among its features this lens has locking focus and iris rings so it can operate consistently in jobs where the camera may experience significant vibration.